A German company by the name of Sortimo (SME) is now planning to build what will be the “largest electric vehicle fast-charging station” in the world once completed along the busy A8 highway in Germany, according to recent reports. The electric vehicle (EV) fast-charging station will reportedly feature 144 charging ports — which will together allow for more than 4000 cars to be charged in a single day, according to one of the company’s two managing directors, Klaus Emler. 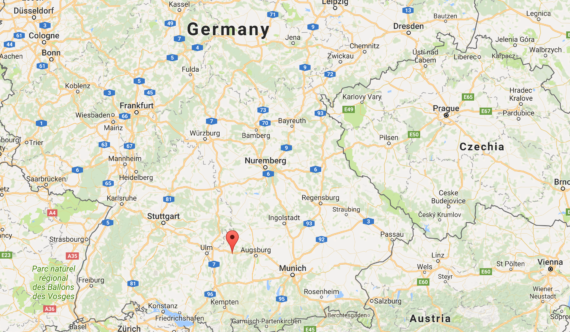 To be more specific here, the fast-charging site — to be built in 2018 — will be located in “the industrial area in Bavarian-Swabia, between Ulm and Augsburg.” The location will, according to the developers, allow those traveling along Germany’s busy 6-lane A8 highway to easily recharge their EVs — with those that are stopping knowing for sure that they won’t have to wait for someone else to finish to recharge. That all sounds very interesting, but it should be realized here that apparently none of these plans are finalized — so the eventual end result may be fairly different from what is discussed above. That’s probably a good idea. If the site does indeed end up featuring 350 kW superfast charging, then it will probably attract a fair bit of use — there definitely seems to be a desire amongst consumers to charge their EVs as quickly as petrol/gas-powered vehicle owners fill up. The company’s initial investment into the fast-charging station site will reportedly total €15 million. Presuming that all goes well, then this initial investment will be followed by further ones. The charging stations will receive some government support, but the amount is unsubstantial according to Mr Emler and didn’t influence his decision. Sortimo supplies car interior products, pulling in around €160 million in revenue a year and employing 1,400 people. The company plans for the electricity for the chargers to be supplied by 100% renewable energy sources. The location of what will supposedly be the world’s largest charging station (but probably not for long … #China) is interesting in itself. Most people might not know Zusmarshausen, but it’s located on the Autobahn that separates the carmakers Mercedes and Porsche from Audi and BMW. With no exaggeration, it’s right between the eyes on the automotive face of Germany. This innocent charging station supplied 100% by renewable energy is located between €329 billion of yearly automotive revenue (2016 numbers). 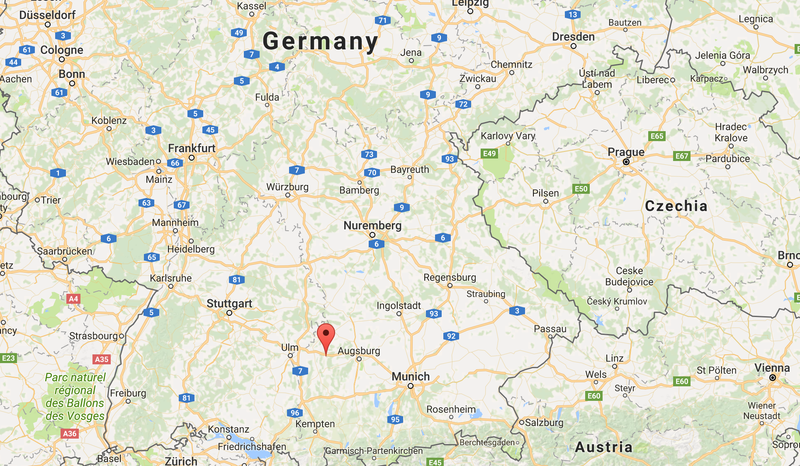 It is also located 15 kilometres from a Tesla Supercharger in Jettingen-Scheppach. The engineering company Steinbacher (300 employees, from the same area near Augsburg) is involved as a partner. We can assume that Mr Emler and Mr Steinbacher met in a local Wirtshaus (we’re in Bavaria) and decided that enough is enough. A little historical fact: Zusmarshausen is an outskirt of Augsburg — which was the very place in which Cardinal Cajetan asked Martin Luther to recant his various positions that challenged the authority of the Catholic Church (year 1518). The meeting took place in the house of Jakob Fugger, who was the richest inhabitant of Augsburg at the time (and maybe of the world). Martin Luther didn’t recant, and 12 years later, the Augsburg Confession was signed, which is the primary confession of faith in the Lutheran Church. Regarding the coming charging center, perhaps that history of bold diversion from the norm came into play when the initiators decided in this location.